On Friday, January 31st, the State Department released its environmental impact report for Trans-Canada’s proposed Keystone XL pipeline. This report concluded that the Keystone XL pipeline had few significant dangers and would have little effect on climate change. Unfortunately, unless something significant changes, it appears that this report will herald the approval of the Keystone XL pipeline sometime in the next few months. 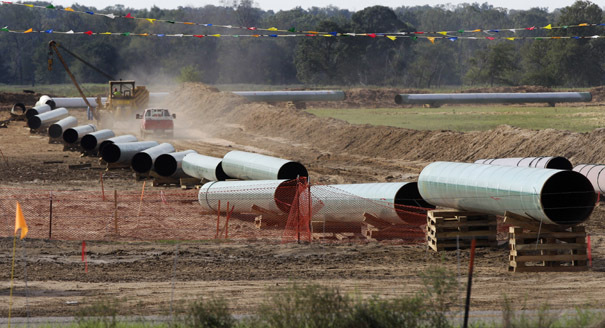 While the State Department’s favorable finding on the Keystone XL is not the end of the approval process—Obama still needs to approve or disprove the project—it is a very large step towards approval of the project. With this report to support them, the minority of Democrats and plurality of Republicans who have been pushing this pipeline’s approval will be able to bolster their case and bludgeon Obama (assuming that he doesn’t agree with them already) into approving the project. Put simply, this report is corrupted at its roots and based upon flawed premises; unless the American people stand up and reject it, and the approval of this pipeline, the USA is on the precipice of making a truly horrible mistake that has long-term environmental and human consequences. 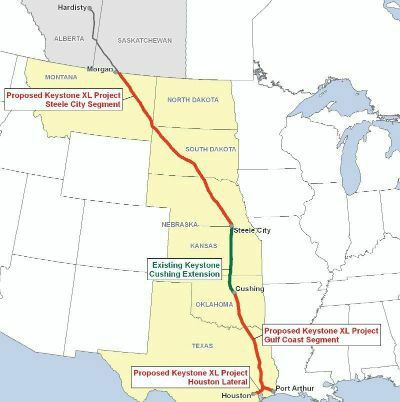 The Keystone XL pipeline is a large pipeline which is intended to transport the tar sands of Alberta through the United States and to the Gulf of Mexico where it can be refined. According to the plans of Trans-Canada, this pipeline would carry 830,000 gallons of tar oil every day. Along its proposed route, the pipeline will traverse seven states, across the Ogallala aquifer (the largest in the United States) and through miles of farmland. Unlike normal crude oil, tar sand oil in an incredibly viscous and heavy fluid that is toxic, abrasive, and essentially impossible to clean up. Because it is extracted from oil sands instead of in its liquid form, tar sand oil is a mixture of sand, oil and fluids from the extraction process. In order to move the viscous tar oil and sand through a pipeline, dozens of chemicals must be mixed into the oil. While oil companies have refused to disclose the exact nature of these chemicals, it is known that they include viscosity regulators, lubricants, and other additives which are hazardous to humans. 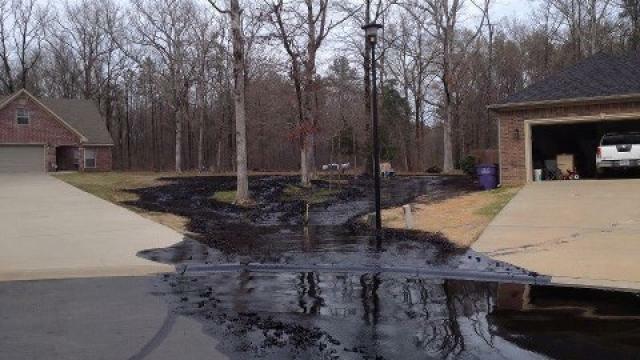 Unfortunately, we have no idea how to clean up a tar oil spill, primarily because tar oil sinks in water and contains so many toxic chemicals. In April 2013, a tar oil pipeline ruptured in Mayflower, Arkansas, causing residents to suffer from a series of health problems for months after the leak—even after it was reported that the site was cleaned, new oil slicks emerged after rains, as oil that had sunk into the marshy area reemerged. If a significant spill happens along the proposed Keystone XL pipeline, it would be devastating to human health, the environment and the local economies. This pipeline not only crosses several major rivers (including the Yellowstone and Missouri Rivers), but it also traverses the US’s largest aquifer. A tar oil spill into these bodies of water would contaminate them and cause every living creature along the river to suffer. Any Keystone spill in a populated area would displace residents for a long period of time and would cause economic disruption similar to what was experienced by the residents of the Gulf coastline during the BP oil spill. If a spill were to occur in any area dedicated to farming, it would despoil the land and likely kill all local farming interests. Obviously, this would destabilize the local economies and would result in entire communities having to restructure or move. Beyond the dangers of a spill in the Keystone XL, even a completely safe transfer of tar oil to market would have dramatic consequences. The extremely dirty oil that would be carried in the Keystone XL pipeline would release up to 27,400,000 metric tons of CO2 into the atmosphere every year and would accelerate climate change past any sustainable point. While many will use this State Department report to support the construction of the Keystone XL pipeline, there are several reasons why Americans should take this study with a grain of salt. The first and most non-technical problem with this State Department report is that it was conducted and written by a private entity called Environmental Resource Management which has had previous business dealings with Trans-Canada and very well may have future such dealings—because of this, they have a serious conflict of interests that could easily lead them to present a report which is skewed in favor of the pipeline. Currently, the State Department’s Inspector General Office is conducting an investigation over this conflict of interest, but has yet to make a determination. Until this investigation is concluded and the results are scrutinized, there is simply no way to consider the report by ERS to be reliable. When looking at the Keystone XL pipeline’s potential for accelerating climate change, the authors of the State Department study assert that the pipeline is carbon neutral because they assume that the tar sands would just be moved some other way. Put simply, this is not the case, as any alternative method of transportation would be either impossible or economically unprofitable. 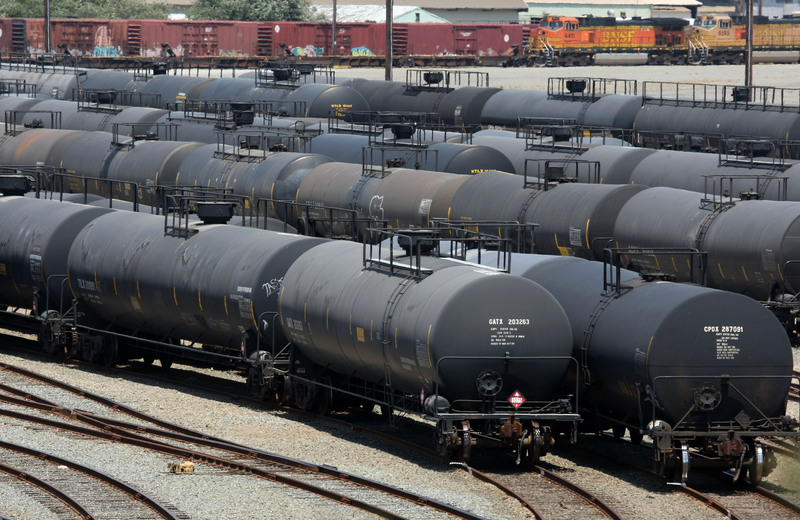 While it is true that the tar sands could be moved from Alberta to a refinery by trains, this method of transport is both more expensive and time consuming. 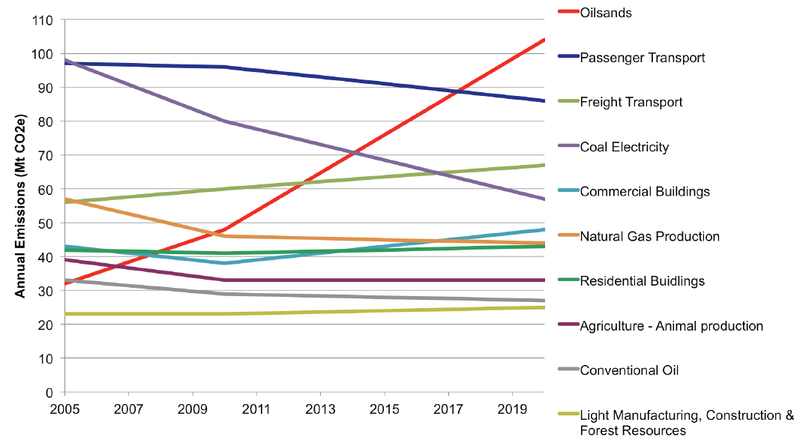 This decrease in the efficiency of transport would severely cut down on the profits of Trans-Canada and could even render the entire Alberta extraction operation nearly worthless. In fact, if the price of oil is less than $65 a barrel, the costs of extracting, processing, and transporting the Alberta tar sand oil overshadow the profits. When determining the dangers of a spill from the Keystone XL, the authors of the State Department study assume that a spill would be easy to contain and would result in negligible damage—these assumptions are simply incorrect. In their calculations, ERM assumes that an average of 518 barrels of oil will spill from minor leaks every year. While this number is feasible if the authors only take into account minor leaks and assume that Trans-Canada had exceptional response times to leaks (unlikely), it completely fails to take into account the spillage from a larger leak. For example: The Mayflower, Arkansas leak alone resulted in nearly 5,000 barrels of oil being spilled in a single event, and that involved a smaller pipeline than the Keystone XL. Beyond the sheer volume of spillage, the oil companies have yet to disclose the exact chemical formulas of just what is flowing through their pipeline, thus it is very difficult to conclusively say that spills wouldn’t be damaging. Some extremely toxic chemicals (ex. Benzene) are dangerous even in relatively small amounts, thus it is very likely that even small spills could cause massive harm if they happen in the wrong place. At the end of the day, the Keystone XL pipeline is a disaster, both in function and malfunction—if it works perfectly, global warming will be accelerated, while, if it leaks, all those living in its vicinity will suffer. Unfortunately, this flawed State Department report does nothing to accurately portray the dangers of the pipeline and will only assist to prop up the claims of those who would make money from its construction. In addition to the flaws in this study, two things need to be mentioned about the Keystone XL that are highly relevant to its approval. The oil in the pipeline travels THROUGH the United States, thus will not decrease local energy prices. After it is refined in the Gulf, the oil from Alberta will be sold on the global market, where it will have virtually no effect on prices. 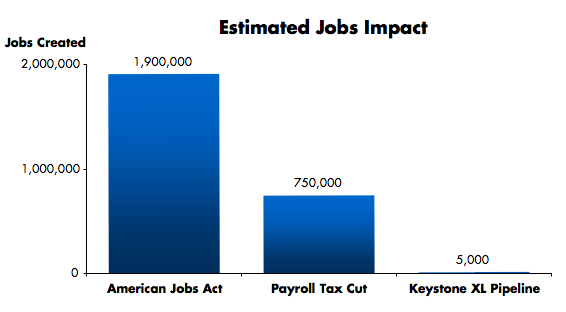 The construction of the Keystone XL pipeline will produce several thousand short term jobs, but that will taper off after construction, leaving only a couple dozen permanent positions; because of this, the Keystone XL pipeline is simply not an effective method of stimulating the slow job market. Another point in general to be made: The more we find new, creative, and increasingly hazardous ways to extract fossil fuels from the ground, the more people tend to forget and take for granted that fossil fuels are finite. Even people running on the premise that climate change hasn’t been proven cannot deny that we are going to run out of oil eventually. And it’s not that far off. Even the most optimistic estimates have the world supply of oil depleted before the end of the century. And even the climate change deniers can’t go to a city like Beijing where you can barely breathe the air and deny that we have to change our energy source very soon. There’s no future in oil. Fracking, pipelines…they’re just dangerous ways of delaying the inevitable. We HAVE to convert to clean, renewable energy even if it’s currently less efficient and harder to produce. Re-blogged to The New NY 23rd.